Stone ware Box signed S.B. 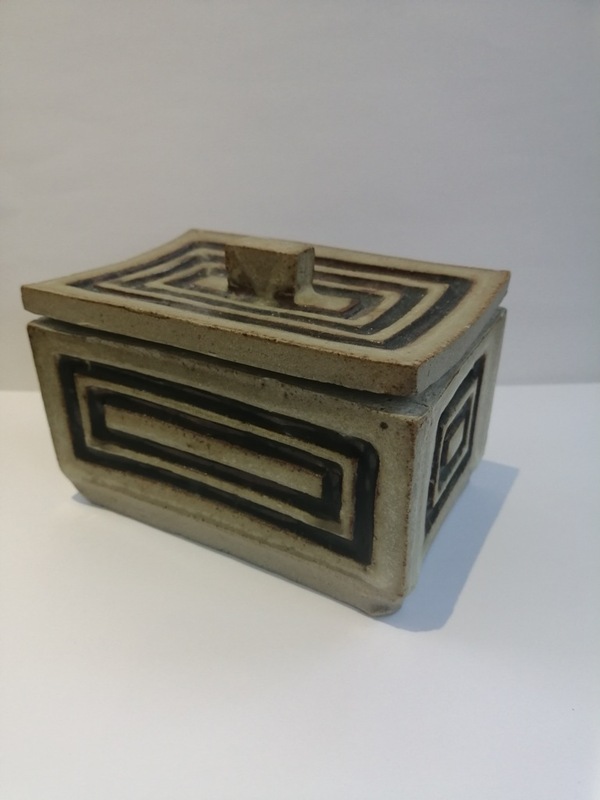 This little stoneware box slab box has a salt glaze all over and what I think is a tenmoku glaze inside and also in the incised square decoration on the outer panels, it is signed S.B. in the same brown glaze on the base. Can you please help identify who S.B. is? 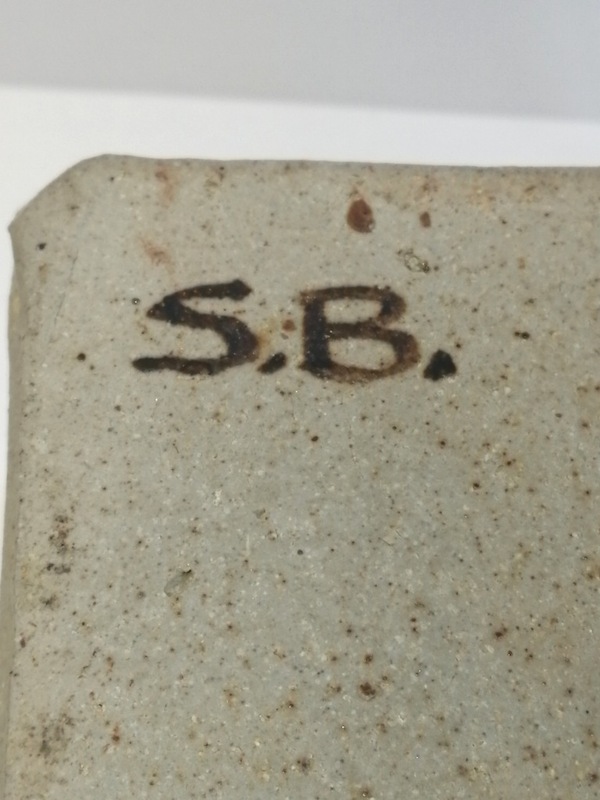 Re: Stone ware Box signed S.B. I had a message from the daughter of Stuart Bass who confirmed that she has spoken to her dad and he did not make this box, even though it is the same S.B. on the links, I thought I should just update here to clarify any confusion. You were right - its probably a hobby potter.